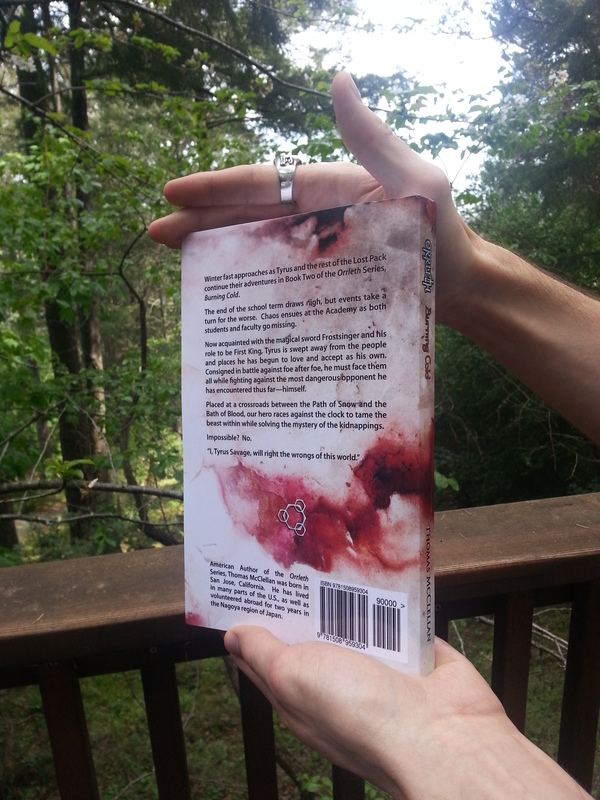 Snow falls, but it is not without blood in Book Three of the Orrleth Series. Left for dead and the woman he loves gone, Tyrus must cast away the unnecessary and unworthy aspects of himself in order to pursue his goals without hindrance. Changing his view of happiness and forging new alliances, he travels the globe in search of a way back to his friends and family. Subject to the violently beautiful nature and elements of the uncharted planet, the First King awakens within himself his latent abilities lost in days long past, learning of the true scope of his existence. Frostsinger at his side, he delves into its secrets and converses with the sacred blade, finding new power to topple those who impede his ambitions. Refining himself into one more fit for the responsibilities thrust upon him, the eldest Savage son carves his way back to the Academy, finding that he was not alone in hardship. The members of the Lost Pack reunited through trial and stronger than ever, they set out for Orrleth Castle and the main root of the world’s decay—Tenrael Krassden. As our band of unlikely alliances wars against the Luemin and its head, darker forces coalesce in the shadows and the blackest of mysteries begin coming to light. Each turn of events more trying of his conviction than the last, Tyrus learns that though we are all finite, our potential is just the opposite. American Author of the Fantasy Adventure Series, Orrleth, Thomas McClellan was born in San Jose, California. A resident of Hawaii, he has lived in many parts of the U.S., as well as volunteered abroad for two years in the Nagoya region of Japan. 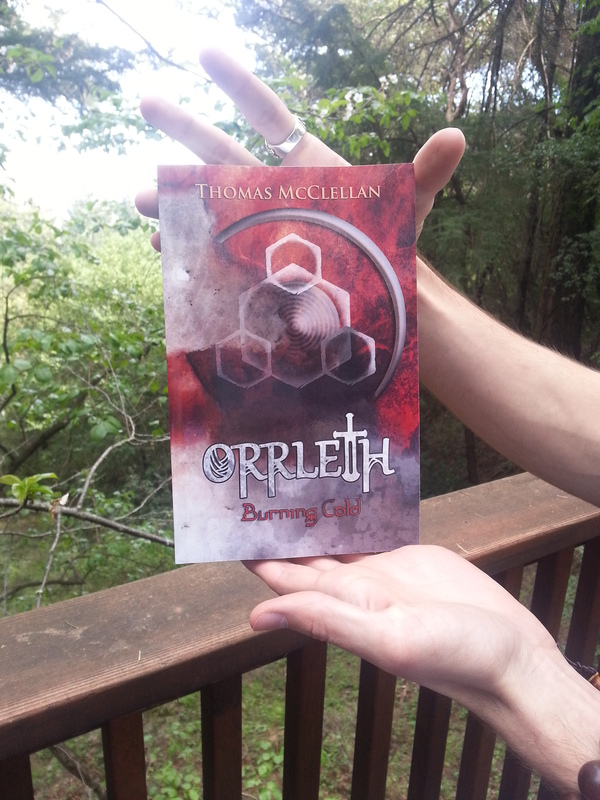 Thomas is currently working on his next novel in the Orrleth Series. For book information, updates, and media inquiries, visit our Orrleth Series, Media, Buy Books, or Contact pages, as well as Follow the Author on Facebook, Goodreads, and his Amazon Author Page. Text and images © 2014–2016 Thomas McClellan; all rights reserved. 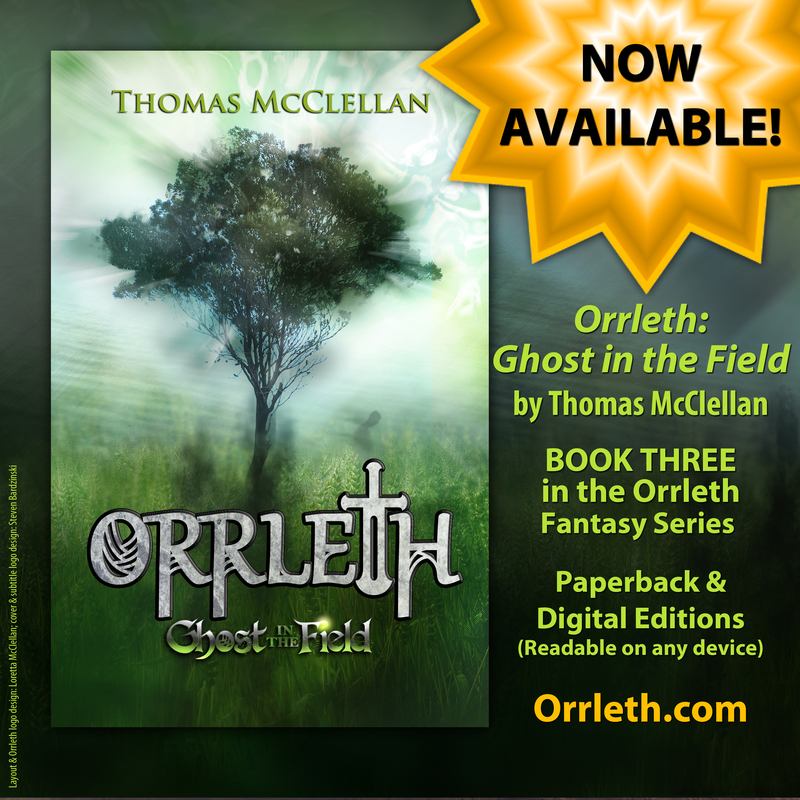 Orrleth: Ghost in the Field NOW AVAILABLE! Text and images © 2015 Thomas McClellan; all rights reserved. American Author of the Fantasy Adventure Series, Orrleth, Thomas McClellan was born in San Jose, California. A resident of the San Francisco Bay Area, he has lived in many parts of the U.S., as well as volunteered abroad for two years in the Nagoya region of Japan. Thomas is currently working on his next novel in the Orrleth Series. For book information, updates, and media inquiries, visit our Orrleth Series, Media, Buy Books, or Contact pages, as well as Follow the Author on Facebook, Goodreads, and his Amazon Author Page. Copyright 2015 Thomas McClellan; all rights reserved. © 2015 Thomas McClellan; all rights reserved. ©2014–2019, Thomas McClellan; all rights reserved.